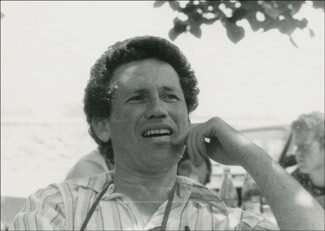 Boris Weisfeiler in a 1981 photo. BUENOS AIRES, March 21 (JTA) — An ex-Nazi-turned-commune-founder is facing multiple charges of child abuse, torture and murders in Chile. Paul Schaefer, founder of the a secretive German enclave in southern Chile called Colonia Dignidad, or Dignity Colony, fled Chile in 1997. For more than seven years he had been a fugitive; that ended when he was arrested by Argentine Interpol officers in a suburb or Buenos Aires on March 10. He was then deported to Chile. According to witnesses inside the Chilean courtroom where he appeared March 14, Schaefer, 83, appeared dazed and confused. He barely spoke during the court proceedings. Schaefer was a corporal in the German army during World War II. In the 1950s he founded a religious sect but was accused of child abuse. He fled Germany for Belgium and then Chile. In 1961, living in Chile, Schaefer founded Colonia Dignidad. The group, some 500 people, mostly of them German or Chilean, lived on a 40,000-acre compound about 250 miles south of Chile’s capital, Santiago. The community created an impenetrable security system., with cameras at its gates and a wall encircling the enclave. Members also built a series of underground bunkers and tunnels. It is thought that Schaefer escaped through one of the tunnels that allegedly extends to nearby Argentine territory. It is believed as well that the same tunnel allowed a number of Nazis thought to have lived in southern Argentine and Chile to have escape in both directions. The community grew to be an economic powerhouse, with food manufacturing, tourism and mining operations, and it developed close ties with both regional and national police forces, politicians, and the military and judicial establishments. Its businesses were so large that one Chilean government official claimed that Colonia Dignidad owes more than $5 million in back taxes. In the late 1960s a few people began to escape from the heavily guarded compound, bringing with them charges of pedophilia and virtual enslavement of the community’s young members through the sophisticated use of drugs. No action was taken against the group, though. During the military dictatorship of Gen. Augusto Pinochet, from 1973 to 1988, the colony was used as a torture center, according to testimony given to the Rettig Commission, which investigated military atrocities in the early 1990s. A number of “disappeared” persons were seen last in the barracks at Colonia Dignidad. Yet Schaefer maintained his power until 1997, when the charges of child abuse forced him to flee the country. “We want to congratulate the Argentine government and the local Interpol authorities for capturing this dangerous man,” said Sergio Widder, director of the Simon Wiesenthal Center’s South American office. Rauff was a Nazi war criminal who escaped to Chile after the war and lived a protected life there until he died in 1984. Rauff, considered the developer of the mobile gas chamber, was buried in the Santiago’s central cemetery as mourners hailed him with the Nazi salute. Pascale Bonnefoy, a freelance journalist who has written extensively about Colonia Dignidad and Paul Schaefer, is not sure that the Nazi issue will be raised. “It seems no one is expecting Schaefer to actually say anything, provide any useful information,” Bonnefoy said. “But what is increasingly clear is that the new Colonia leadership and some colony members may be more willing to talk, in part because of a change in image, in part because they may feel safer now to talk. Olga Weisfeiler’s brother Boris, a Russian Jewish emigre mathematics professor at Princeton and Penn State University, disappeared in 1984 while hiking near Colonia Dignidad. She agrees that Schaefer will not talk but hopes that the code of silence will be lifted. Weisfeiler is the only U.S. citizen whose disappearance during the dictatorship in Chile remains unsolved. State Department documents released in the last few years show that Weisfeiler was seen inside the colony, living in slave-like conditions, two years after his disappearance, according to a Chilean former intelligence officer who gave testimony to U.S. Embassy officials. © JTA. Reproduction of material without written permission is strictly prohibited.